The Nashville Predators downed the New York Rangers 3-2 last night in Madison Square Garden. A very-fast paced game, Nashville and New York swapped momentum throughout the contest. Much of the action was end-to-end and many scoring chances were squandered by excellent goal-tending. Early in the second period, forward Filip Forsberg opened up the festivities with a wristshot that beat Lundqvist blocker side. Fast responded with a chip-in goal in front of Rinne later in the period. P.K. Subban slapped one by Lundqvist in the third period, and Colton Sissons buried an empty-netter with less than two minutes left in the third period. A Pavel Buchnevich tip-in was too little too late as Nashville sealed their first victory of the year. Both starting netminders, Pekka Rinne and Henrik Lundqvist, put on a goaltending clinic. Rinne finished the game with 34 saves on 36 shots, while Lundqvist finished with 30 saves on 32 shots. Forward Craig Smith is already fighting for another good year; he drove the second line and took six shots, the most out of the Predators. Leading the Rangers, defenseman Kevin Shattenkirk put seven shots on goal. The biggest surprise for Nashville’s opening-day lineup was the addition of forwards Zac Rinaldo and Ryan Hartman, but more importantly, the absence of Frederick Gaudreau. Head Coach Peter Laviolette said, “It’s time to make a case he (Gaudreau) belongs here on a full-time basis.” Rinaldo adds a speed factor to the Predators lineup, but Gaudreau will need to see more time on the ice in the upcoming games. The fourth line hasn’t been solidified, with Hartman, Rinaldo, Gaudreau, and right wing Miikka Salomaki all fighting for a place. When forward Austin Watson returns from suspension, tough decisions will be made. Also, Filip Forsberg is really good at hockey. But we already knew that. The Predators come away with 2 points, and will face the New York Islanders on Saturday, while the Rangers will travel to Buffalo empty-handed to face the Sabres. 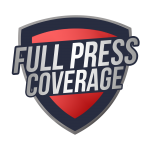 -Jack Woods covers the Nashville Predators and the Central Division for Fullpresscoverage.com. You can follow Jack on Twitter @jack_woods15. FPC Buccaneers Round Table: Can Dirk Koetter Save His Job? Chiefs-Rams Preview: Game of the Year? Chiefs-Broncos Preview: Another Division Rivalry Sweep? Chiefs Draft Prospect: Dorance Armstrong Jr. Previous articleCan Nashville’s Johansen and Forsberg Do More?